I have always loved the beauty of wildlife. The complexity of the ecosystem, the biological difference in different species, and how every living organism is interconnected; independent yet dependent on others at the same time. 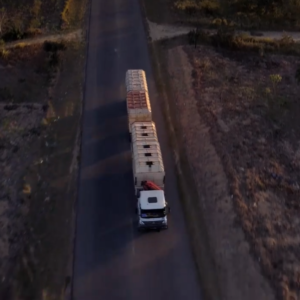 South Africa, one of the largest Rhino paradises is now the major slaughterhouses for Rhino in the world, and shamefully, Vietnam ranks first on the Rhino horns purchase list higher than China. As youth, it is unfair that we have to be responsible for the damages adults caused in the past few decades, and it’s our generation’s turn to care. Announce to the world that it is not too late to educate ourselves with the topic of environmental issues; it is not too late to recognize the importance of ecosystems; it is not too late to take action on the mission of environmental protection; it is not too late to stop or reduce the purchase of Rhino horns. 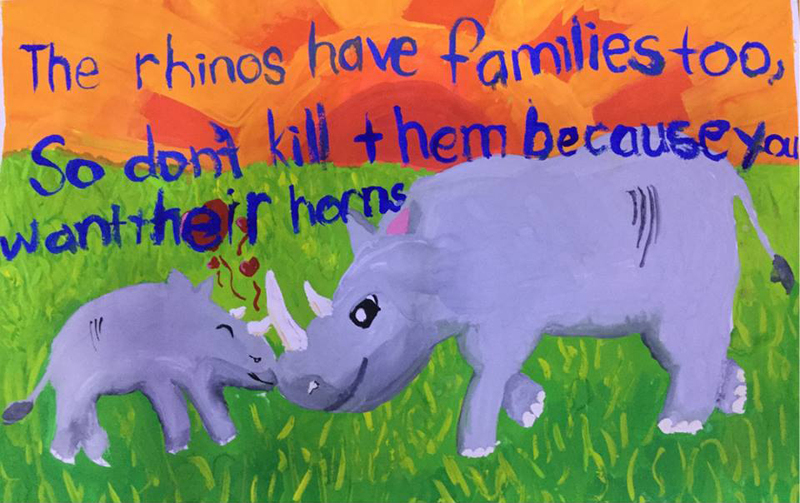 These are the words of Lee Ming-Ching, one of the young Vietnamese students who have just been announced as the senior winners of the 2019 Wild Rhino competition. 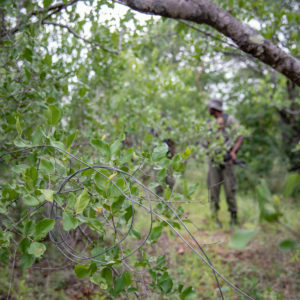 Increasingly, the next generation of decision-makers in Vietnam seek to learn more about, and speak up against, environmental crimes such as rhino poaching. The Forever Wild Rhino Protection Initiative – a collaboration between Wilderness Foundation Africa (WFA), Peace Parks Foundation (PPF), Olsen Animal Trust (OAT) and SOUL Music & Performing Arts Academy (SOUL) in Vietnam – is providing these young people with educational and social platforms to do just that. The Wild Rhino Competition expanded its reach to Hanoi this year. 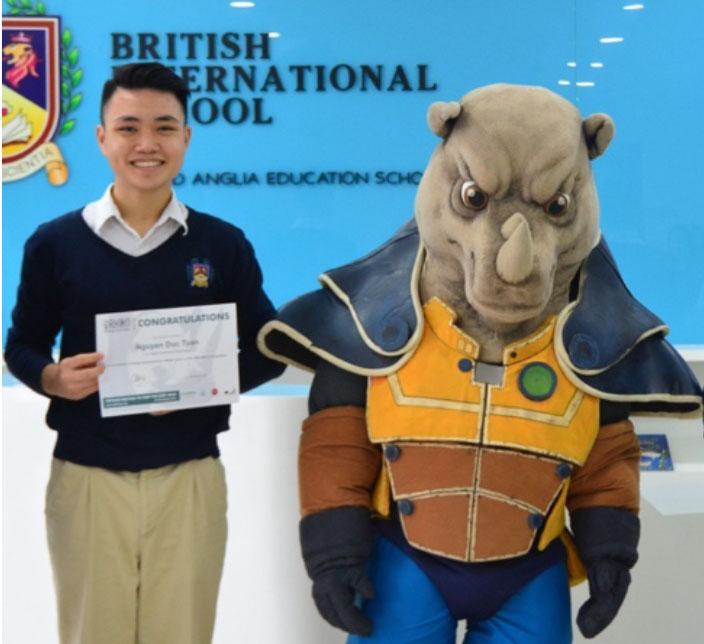 Nguyễn Đức Tuấn of the British International School (pictured here with Rhino Ranger) and Nguyễn Viết Trường An of the Hanoi International School are the first winners announced from this region. 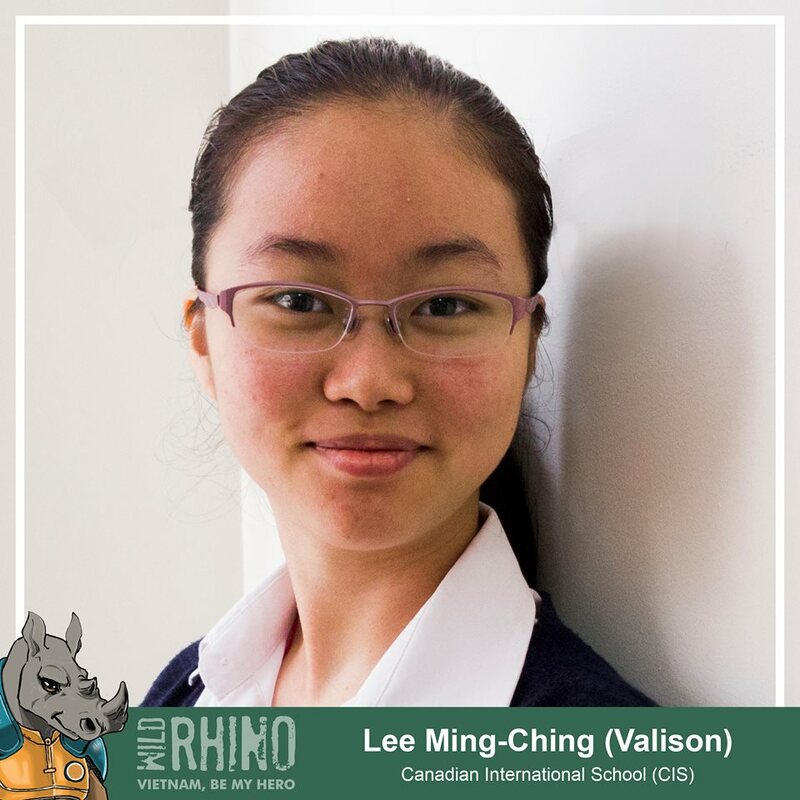 This week, Wilderness Foundation Africa announced the winners of the Wild Rhino Competition run in collaboration with 11 international schools in Ho Chi Minh City, and 3 international schools in Hanoi, Vietnam. As part of their prize, 14 of the winners will soon be traveling to South Africa to experience rhino in their natural habitat. 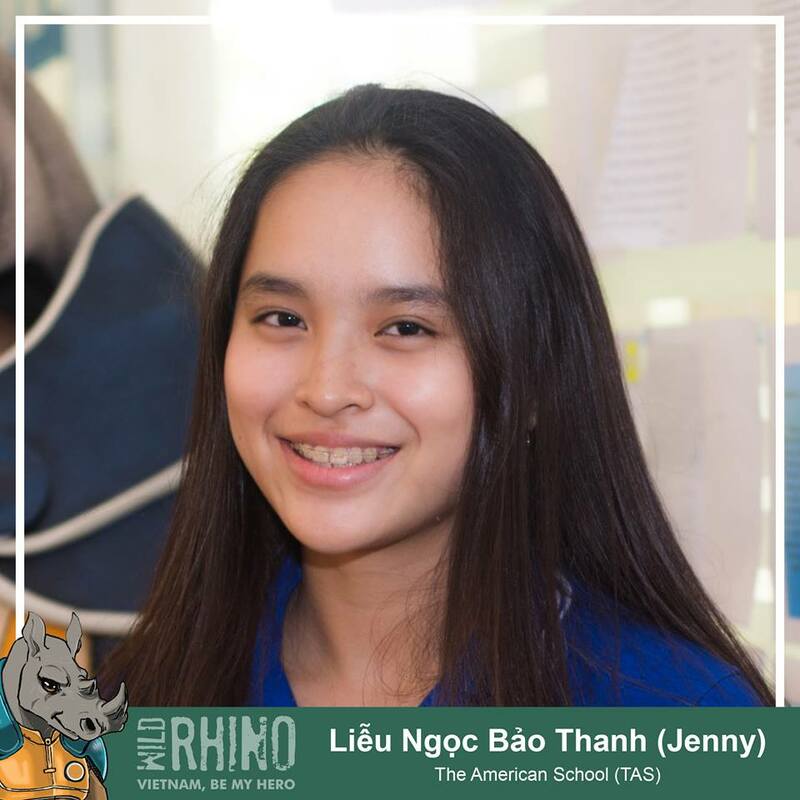 In response to this, the Wild Rhino demand reduction campaign utilizes three separate yet cohesive components to educate and engage Vietnamese youth on the issue of rhino poaching. 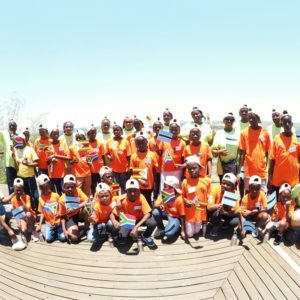 The overarching collective goal of the Wild Rhino Competition, the Youth Ambassador Awareness and Education Campaign, and the Rhino Ranger Super Hero Campaign, is to incite passion for conservation, whilst motivating these young people not to use rhino horn. In addition, the youth are encouraged to assist in saving the rhino by becoming vocal ambassadors for the cause in their communities. 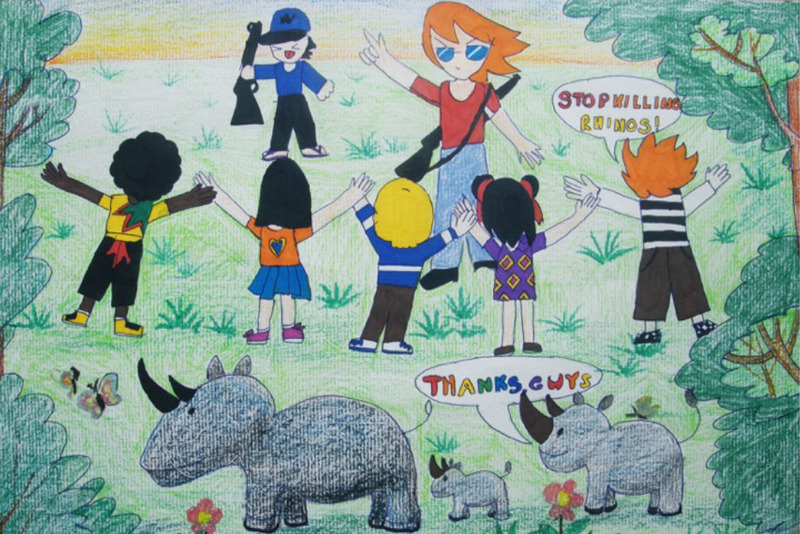 The demand reduction campaign, has been active in 11 participating schools in Ho Chi Minh City since the launch of the first Wild Rhino Competition in 2014, and was extended to 3 schools in Hanoi this year. Wild Rhino has reached about 25 000 Vietnamese youth directly, and nearly 1 million youth indirectly through campaign and youth ambassador social media activities. This year’s Wild Rhino competition invited junior students to enter by submitting a poem or a picture. Senior students entered by submitting an essay in which they had to present innovative and practical ways in which they could educate their friends and family on how to end the demand for rhino horn. Over 700 entries were received, with 29 junior winners and 14 senior winners announced. You are never too young to start learning about protecting nature and wildlife. This beautiful drawing was one of the winning entries submitted by Thai Duong Khue, Grade 5, 11 years old, of The American School (TAS) in Ho Chi Minh City. 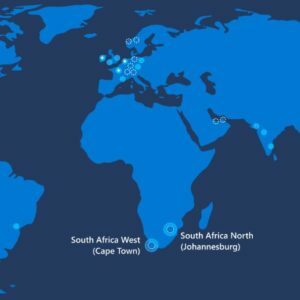 The senior winners will visit South Africa in July 2019, where they will spend a week on wilderness walking trails in the Hluhluwe-iMfolozi Park (HIP) to gain an understanding of the importance of rhino and the impact that poaching is having on them, followed by a workshop on the rhino poaching crisis facilitated by experts in conservation. This workshop equips the youngsters to return to Vietnam as dedicated ambassadors for the conservation and protection of rhino. 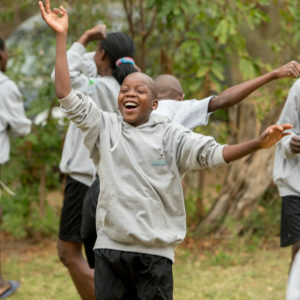 In turn, the campaign partners take the opportunity to learn from the young people about their experience of the issues related to the use of rhino horn in their communities. The Vietnamese youth also share insights into social and scholastic habits of themselves and their peers, enabling development and implementation of impactful strategies in terms of Wild Rhino engagement with this audience moving forward. Liễu Ngọc Bảo Than of the American School. 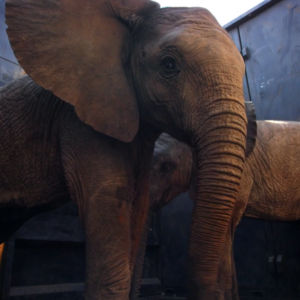 This upcoming trip to South Africa will begin a new change, a new perspective aside from my daily life, to unite as one perceiving the nature and the deserved wild animals with my very own eyes. 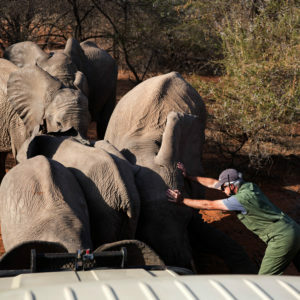 In the future, together with other [previous years’] Wild Rhino Youth Ambassadors, and the Wild Rhino Campaign, we will use our experiences and strengths to raise awareness in our community and aim to make a change in the citizens’ mindsets, activities and responsibilities in protecting the rhinos and the wild with which we have been gifted.